The best part of working at College World Series in the Omaha Baseball Village is the close proximity to the ticket booth to get tickets for a game. We choose game 9 which featured LSU vs Florida State. It was a great game with LSU prevailing in some really hot weather. At game time the temperature was in the mid 90’s. 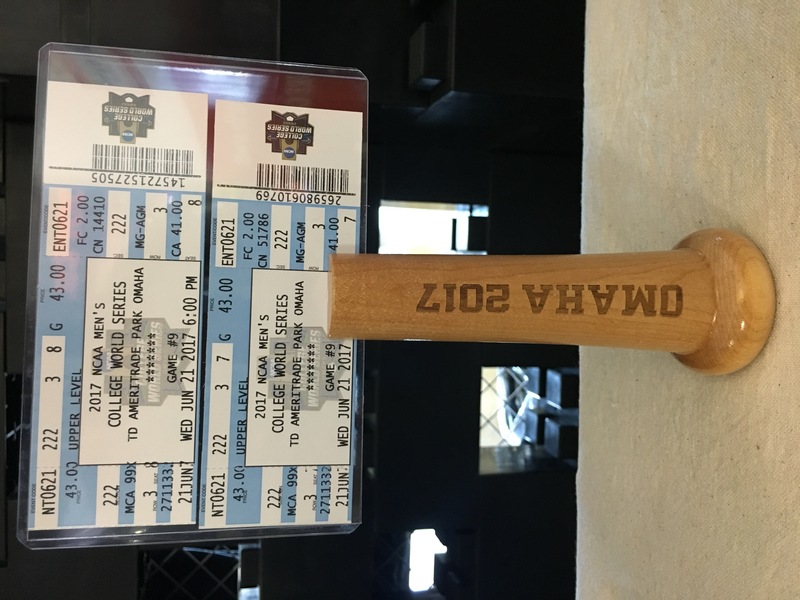 In the photo is my ticket stub from the game proudly displayed on Picture Catcher Bat ®. I have been collecting ticket stubs since I was a kid and all my baseball ticket stubs are now displayed on Picture Catcher Bat ®.